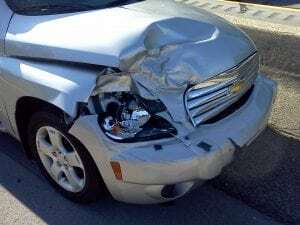 Webster, NY (March 28, 2019) – According to police, a motor vehicle accident that resulted in at least minor injuries was reported to have taken place at 7:52 a.m. on Thursday morning, March 28th. The collision, currently believed to have involved no more than two vehicles, happened along Hard Road for reasons that have not been confirmed. Authorities stated that the crash occurred in both the north and southbound lanes of Hard Road at Route 104, prompting responses from police and paramedics. Emergency medical crews at the crash site were able to verify that at least one person had been hurt due to the impact of the collision; however, the seriousness of injuries has not been reported. Police have not mentioned the exact number of people involved in the accident, as the details surrounding the crash are currently being investigated. No further information has been made available. At Hach & Rose, our compassionate New York accident attorneys have committed their lives to help the victims of reckless drivers and other inattentive entities. We realize immense physical, emotional, and financial hindrances will arise in the aftermath of a serious car accident. If you have suffered injuries in a crash because of the irresponsible actions of another party, please don’t hesitate to call 212-779-0057 today.